Spring means new life with baby birds and animals in our gardens, parks, and rural areas. 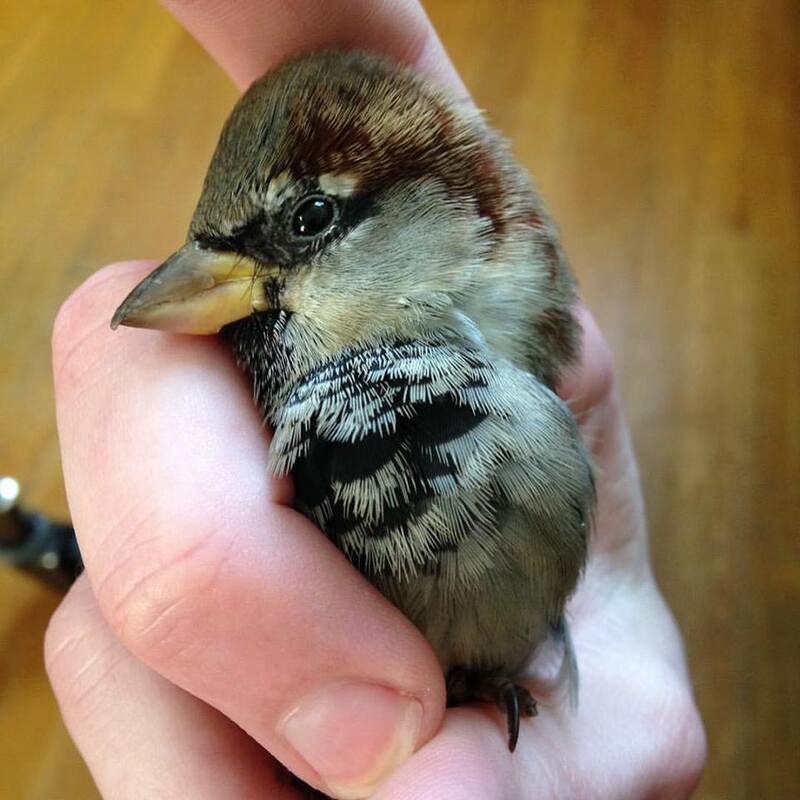 If we see a baby bird on the ground or a tiny fawn all alone, our first impulse is to rescue it. But hold on a moment and make sure that they really do need to be rescued. The Wildlife Rehabilitation Society of Saskatchewan (WRSOS) has a very informative webpage listing what to do if you find a bird, mammal, or reptile in distress. Here are a few key points to keep in mind before heading over to the WRSOS website for further instruction. Be patient and watch the animal for several hours, from a distance so as not to scare the mother away. Some animal parents leave their babies alone for extended periods for their own protection or while the parent feeds. 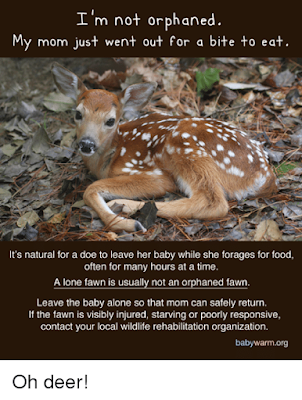 Unless the baby is in immediate danger, contact the WRSOS before removing them from the wild. Make sure the animal is in need of help before intervening. The WRSOS website lists signs of normal behaviour as well as signs of distress. 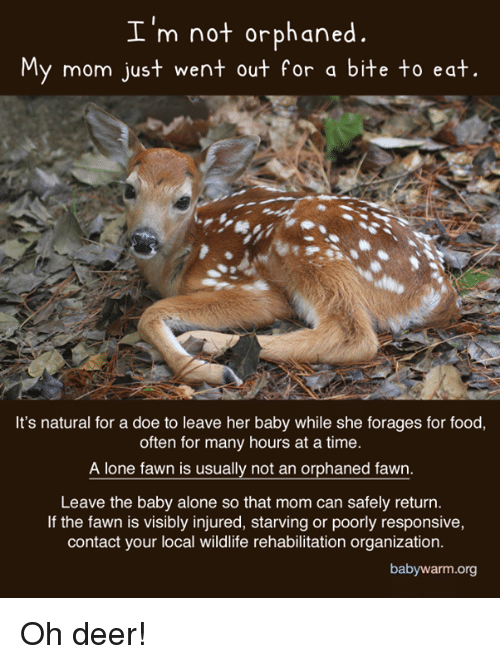 A baby animal's best chance for survival is to be raised by its natural parents. Be very sure it’s necessary before removing an animal from the wild. If you’ve been observing an animal for a while and you really do think it needs help, it’s time to call the WRSOS Wildlife Hotline – 306-242-7177. WRSOS operates a Wildlife Hotline 12 hours a day, 365 days a year. Volunteers respond to public inquiries about injured and orphaned wildlife and assess the situations by asking a series of questions designed to determine if the animals are in need or exhibiting natural behaviours. WRSOS receives over 2,000 calls per year. They provide the initial triage, assessment, and vet care (if needed) so that the wildlife rehabilitators can focus directly on the animals. In cases that do require intervention, WRSOS has approximately 70 volunteers around the province who help transport injured wildlife to one of the province’s 20 licensed rehabilitators or to one of the veterinary clinics that support the work of WRSOS. 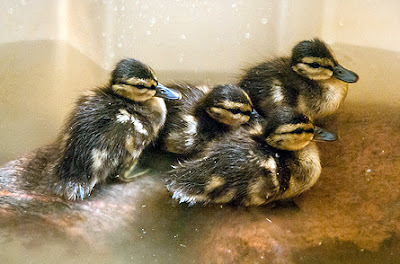 May to July are exceptionally busy months for wildlife rehabilitators and WRSOS is always looking for volunteers to help feed injured animals, answer the wildlife hotline, provide transportation, or help with duck rescue. WRSOS provides volunteer training sessions. 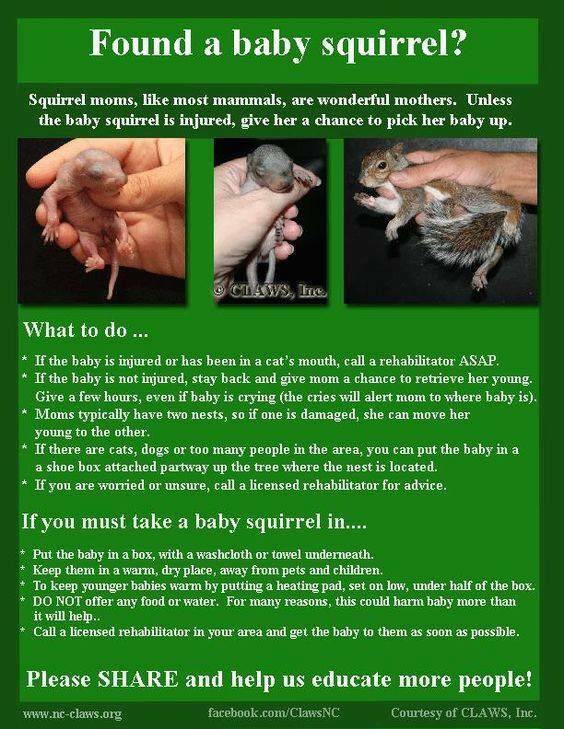 You can also contact a wildlife rehabilitation centre in your area.